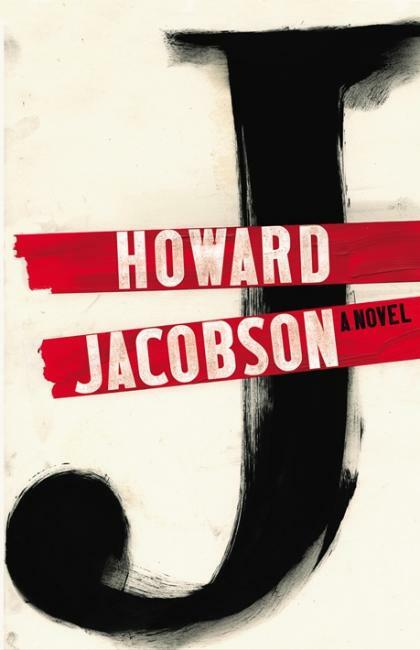 Book 9, and the final of the shortlisted titles is J by Howard Jacobson. J is my kind of book. I love novels set in dystopian worlds, because they dare to answer the ‘what ifs’ and really explore what society is capable of. In this case, the novel is set decades after an event known as what happened, if it happened. What happened, although it’s never explicitly said, was the annihilation of the Jewish people – pretty much a modern-day Holocaust. Afterwards, shocked at what had happened, the powers that be decided that society would focus on being calm and quiet – art would only express beauty, songs would only sing about things like love and anything likely to rouse people would be quietly, but firmly, extinguished. Names were changed, so that everybody could start off afresh, on an equal footing, as one nation. And everybody learns to say ‘sorry’ all the time, whether they’re at fault or not. All great, in theory, but without people to act as an ‘other’, the anger and distrust is redirected, and expresses itself in different ways. Violence is a common feature of this new society, whether it be people brawling in the street or domestic abuse. In the midst of this situation are Ailinn and Kevern, who are brought together by those who have something in mind for them. They fall in love but ultimately, their own personal history and the forces that want them together lead to tragedy. While neither Ailinn or Kevern are particularly sympathetic characters, and their relationship often comes across like they don’t even like each other, the setting of the novel really grabbed my interest. What people are capable of terrifies me and fascinates me in equal measure. I also subscribe to the idea that without somebody there to be an ‘other’ to you, your identity can get lost. The characteristics I value in myself – tolerance, for example – loses its meaning if there’s nobody intolerant for me to measure myself against. Overall, this was one of the highlights from the shortlist for me, and if you enjoy books such as 1984 or Brave New World, you should give this a go. This entry was posted in Challenge 1: Man Booker Longlist 2014 and tagged man booker. Bookmark the permalink.